In order to highlight the use of the WINGS delegation technology we aim to delegate a total of 1,032,000 (1.032% of total) WINGS. We are calling this a liquid airdrop combining the concept of airdrop (giving away something) with the concept of liquid democracy (the shifting of representation). Each quarter we will take 256,000 WINGS and delegate them to 4096 Ethereum accounts (62.5 WINGS each). And based on a Hunger Games style competition those 256,000 will eventually be delegated to one person for 11 months. If there are less than 4096 delegates to start with in a round then the end prize will be less, hence it is to your benefit to ensure that enough people compete so invite your friends and family! Note that some people with as little as about 5000 WINGS have earned about $20,000 in coins for just 1 very good forecast. So if you are a rock star with 256,000 WINGS for 11 months you can probably earn more Lambos than you will ever need. Each month there will be a culling to find that one forecaster with uncanny ability: 50% of the worst performing delegates will have their delegated WINGS returned, and those will be assigned to the top 50%. Meaning that if you remain your delegated WINGS double each month! WINNER takes all 256,000 WINGS from 13–24 Months; they are returned to the Foundation for a new round during the 24th month. Winners who complete at least 100 forecasts in the following year will earn a gold lapel pin based on this design as a thank you for their service and which represents the highest honor the WINGS Foundation will ever give: Order of the Golden Eagle. Make sure to save your 12 word phrase in safe place! 5. In rewards.wings.ai click the add “+” button under ¨bounties¨ and choose “Golden Eagle Competition”. For URL use any of the following: Twitter profile or LinkedIn profile. Note we may contact you to check if you are a real person. 6. 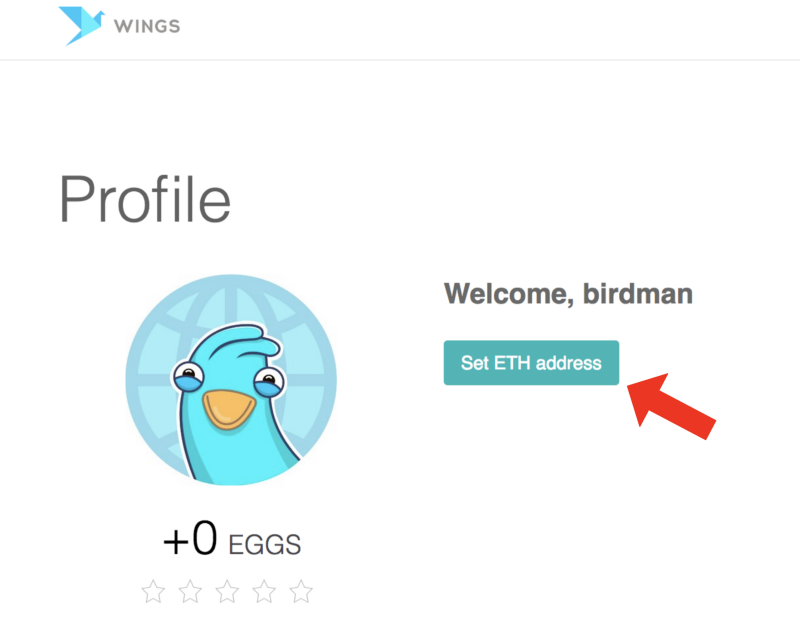 Ethereum addresses who have followed these steps and with the highest FR scores 1 month prior to the airdrop will get first come first serve access to the 4096 open slots for the first WINGS Liquid Airdrop. We anticipate WINGS delegation to go live in production in Summer of 2018; this program will launch within 45 days of delegation go live. Coti community pre-sale succesfully completed! This site is NOT an official website of Wings Foundation, this is a site created by a member of the Wings community.